Under the Goods and Services Tax (GST) telecom services would be taxed at 18 per cent compared to current 15 per cent. 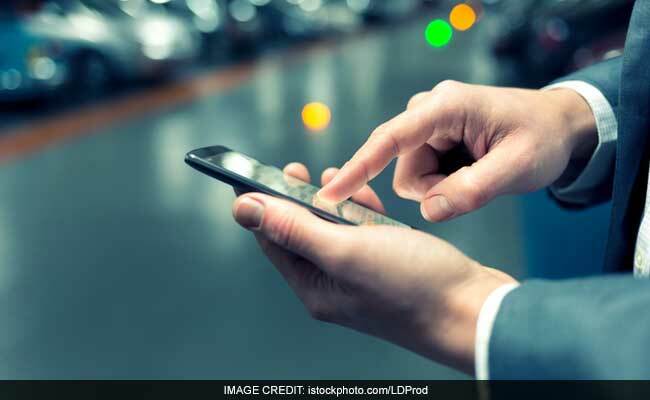 New Delhi: Mobile phone bills are expected to go up while recharges would yield less talk-time for prepaid customers from tomorrow under the new Goods and Services Tax (GST) regime. Under the GST, telecom services would be taxed at 18 per cent compared to the current 15 per cent. This means that a user would get a talk-time of about Rs 80 on a recharge of Rs 100, compared to about Rs 83 earlier. Similarly, costs for post-paid users would also go up to the extent of three percentage points. So, for a monthly usage of Rs 1,000, users will have to pay Rs 1,180 instead of Rs 1,150 currently. However, it remains to be seen whether telecom operators choose to absorb some impact of the increased tax levy (as they can claim input credit) or pass it on entirely to their customers. Emails to telecom operators remained unanswered. A number of retailers in the city remain clueless about the impact of the new tax regime on telecom services. "It is only tomorrow once we start recharging for customers that we will get to know how much talk-time the customer is getting. But going by simple calculation, it (talk-time) is expected to be lesser," said one of the shopkeepers in the bustling Connaught Place area. He added that it will take a few days for the situation to normalise. Many customers who walked in for recharges, too, seemed unaware of what the GST roll out would mean for prepaid services. Telecom operators are already under intense pressure, inflicted by newcomer Reliance Jio's competitive pricing. The industry had expected some relief from the GST Council in the form of a lower tax slab for telecom services. However, the same was increased following which industry lobbyists made multiple representations stating that telecommunications is an essential service and should attract a lower tax rate of 5 per cent. "Today it (industry) is saddled with an unprecedented debt of more than Rs 4.5 lakh crore, with revenues of less than Rs 2 lakh crore ... we are hopeful that the government will ... revise the current rate of 18 per cent, which is fairly high to the requested rate of 5 per cent," Cellular Operators' Association of India Director General, Rajan S Mathews told PTI. This rate of five per cent is better aligned to telecom as it is an essential service and critical infrastructure, he opined.